Become an AIS Early Detector! OPEN Become an AIS Early Detector! 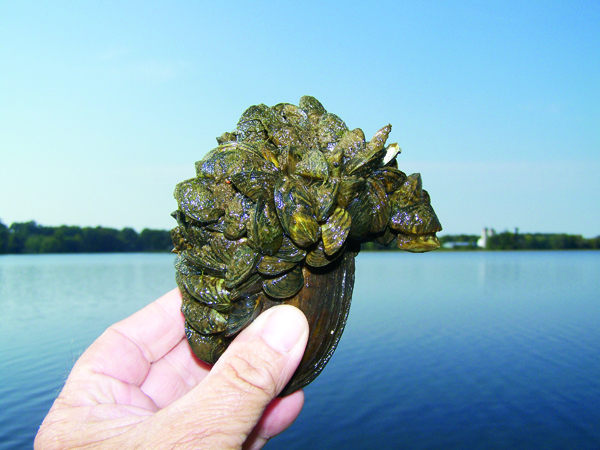 Our goal is to quickly notice and respond to new aquatic invasive species and prevent full-blown infestations. With more than 180 lakes in the Minnehaha Creek Watershed District we need your help to protect these bodies of water in your own backyard and neighborhoods. 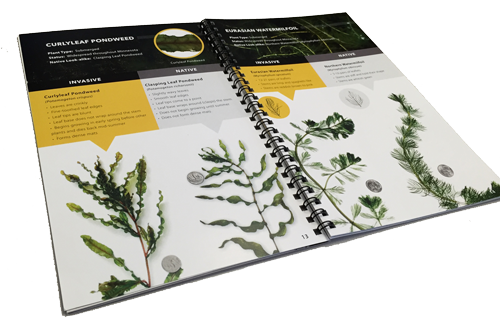 We have developed a guide book that will walk you through how to monitor, what equipment to use, and how to identify a variety of species. The book includes recommendations for a whole suite of monitoring activities though you may choose only a few depending on your time and equipment. MCWD also has a monitoring tool kit available for your use. Being an early detector shouldn't feel like a chore; it is an easy activity and a good excuse to get out on the lake! If you are interested, fill out the form at the bottom of this page. The Minnehaha Creek Watershed District (MCWD) is committed to a leadership role in maintaining and enhancing the integrity of the District's water resources. This section of the website will help you understand what you can do individually, and what we are doing collectively through government agencies, to prevent AIS at bay in our watershed. The presence or introduction of aquatic invasive species (AIS) threatens the quality of aquatic ecosystems. AIS decrease recreational opportunities, alter the food chain and quality of fishing, decrease property values, and increase the private and public costs of managing and controlling their presence. Sadly there is no safe technique to get rid of most AIS once they're established. While researchers work on long-term solutions, the only way to keep them out of our waterways is for Minnesotans to pitch in and take responsibility for their own equipment. If we all take a few small steps to avoid infesting new waters, we can hopefully stop AIS from proliferating. 4. If within Minnehaha Creek Watershed District please complete the online reporting form to notify an MCWD AIS Specialist at AIS@minnehahacreek.org or 952-471-7873. See our MCWD's Least Wanted page or the identification section of our Early Detector How-To Guide for more information on AIS threats to the District. Please see the document below for instructions about how to make your own zebra mussel sampler. In 2013 the Minnehaha Creek Watershed District adopted a long-term AIS Management Plan into its Comprehensive Plan. The plan was developed with significant input from the District's AIS Task Force – a coalition of community leaders, including business owners, angler groups, parks officials, and lake associations – and a Technical Advisory Committee that includes the Minnesota Department of Natural Resources, county and park district staff, and University of Minnesota staff. Related agencies are encouraged to review, use, and adapt the plan for their own purposes. Below is a PDF of the full plan. A Microsoft Word version is available upon request.